The fire, which is believed to be the worst factory fire to hit the Philippines, broke out after sparks from welding equipment, being used to fix an outside roller door, came into contact with highly flammable chemicals, which were stored nearby. Workers were trapped on the second floor of the building, unable to escape from windows that were covered in bars and chicken wire. The heat of the fire made identification of bodies extremely difficult and at least 20 workers remain unaccounted for. 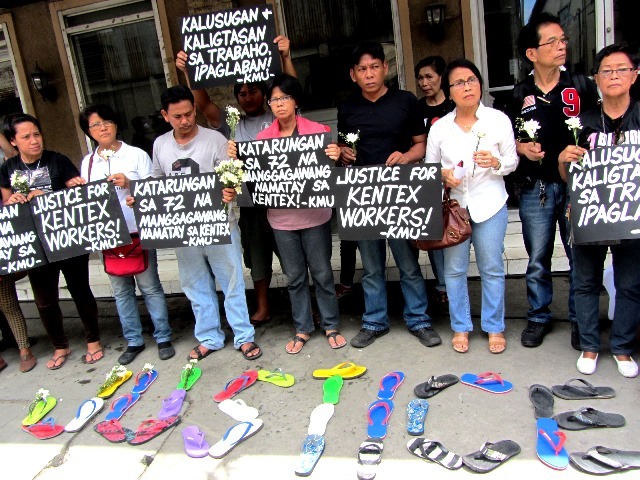 The factory, Kentex Manufacturing Incorporated, was located in Valenzuela City and was producing rubber flipflops for sale and distribution in the Philippines. 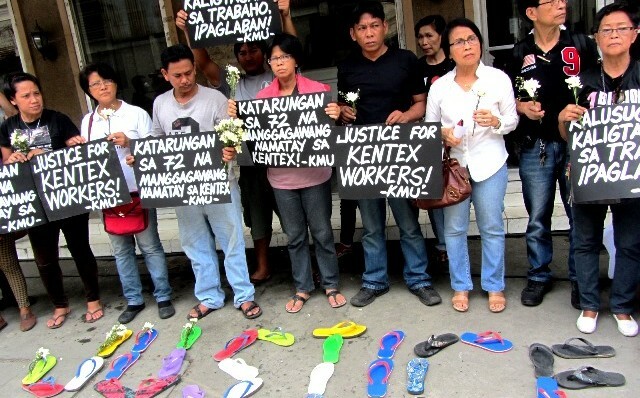 The families of the victims of factory fire in the Philippines have formed the Justice for Kentex Workers Alliance, and are resolved to fight for their loved ones.